One of Indonesia’s best-kept secret, Komodo Island has got the whole package for a rounded adventure, from ancient species to colorful exotic corals, idyllic beaches to lush hills. To get the most out of your adventure, read our tips for planning a trip to Komodo Island. Komodo Island is located in the lesser Sunda islands, east from Java and Bali. If you’re boarding an international flight, the island can be reached via Jakarta or Bali. From either of the two cities, you can take a domestic flight to Labuan Bajo (also known as Komodo Airport) in Flores, which is the hub for Komodo tours. A flight from Jakarta to Labuan Bajo will take about 2.5 hours while a trip from Bali will only take one hour. Another alternative route popular among backpackers is a multi-day trip by boat from Lombok. While there is no bad time to explore a strange island inhabited by ancient dragon species and other mesmerizing wildlife, it’s good to know what you can expect when visiting at any certain time. April-June is favored for the amazing green landscape and calm, clear sea. September-November is ideal for spotting marine wildlife, such as mantas, whale sharks, sperm whales, and more. July-August is high season, so the island will be swarmed with tourists. If you have to go during this period, try to book early for tours and accommodation. In January, the monsoon is starting to kick in, peaking in February. Many tours choose not to operate during this time. Ladies, make sure to check your menstrual cycle before planning your visit to Komodo Island. Komodo is a wild beast that can smell blood as far as 12 miles, and sometimes it triggers their aggression and predatory instinct. It’s best to avoid exploring the island during your period, this may seem delicate but you can still try to discuss with the tour guide or park ranger in advance and they will advise what to do depending on the situation. There are plenty of tour services operating around the islands of Komodo National Park. You may want to research their services and prices beforehand and book in advance, as each has their own advantage. Some services like Perama Tour offer several packages with different highlights. You can also choose a boat or tour service on-the-spot, but be ready to either be charged more or settle with the less-reputable ones. Exploring Komodo Island will involve a lot of trekking, so choose your clothes accordingly. Pick cotton-based clothes that absorb sweat and choose a comfortable pair of shoes or mountain sandals. Also, don’t forget your swimsuit — Komodo Island has the dreamiest beaches and a lively marine biodiversity. The tropical weather on a small island can be scorching. The sun may be extremely hot, so don’t forget your sunblock and bring the highest SPF you have. Wearing a hat is also advisable when trekking in the open. You may not need to be reminded to bring a camera but if you want to go all-out in capturing the picturesque natural beauty of Komodo Island, you may also need your telephoto lenses, underwater camera, or even macro lenses for the wildlife. Visiting Komodo Island is cheaper with more people — you can share boats and tour expenses. Besides, it will be more fun and safe walking in a group, as the komodo dragons may be more tempted to attack lone prey! If you’re traveling alone, you can always ask to join another group in Labuan Bajo before departing for Komodo Island. … and we don’t mean money in a general sense, but physical Indonesian bills. Komodo Islands and its nearby small islands do not have ATM machines, so withdrawing money beyond Labuan Bajo will not be possible. Even if you’ve paid your tour services, always have cash on you, in case you need to buy anything from food to souvenirs. 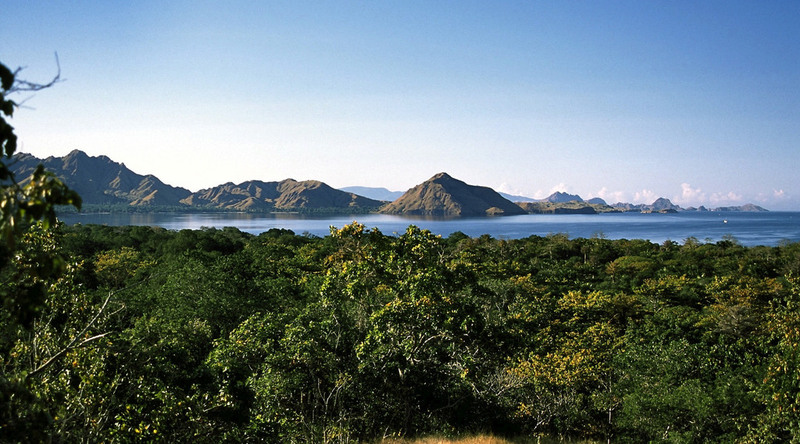 Komodo Island has many beautiful aspects, from green hills to underwater coral gardens. There are also stunning beaches including the otherworldly Pink Beach, not to mention the exotic small islands scattered around the main island. Unless you’re signing up for a fully operated tour, you may want to create a detailed itinerary in order to make the most of your adventure. Start as early as you can in the morning to cover more ground. Plus, you’ll get to see the glorious sunrise. Generally, komodo dragons will not just decide to attack you out of spite. But they may do so if you threaten them in any way. Avoid sudden movements while being around a komodo. If (heaven forbid) you get chased by a komodo, run in a zigzag pattern instead of running straight, and try to get shelter at one of the staged houses in the park, instead of climbing up a tree.